Your Online Source for Everything Tuscawilla! 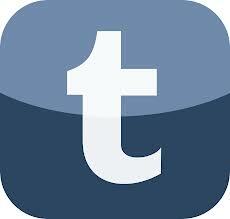 Your Online Resource for Everything Tuscawilla! Tuscawilla is a 3500 acre Planned Unit Development located Northeast of Orlando in the City of Winter Springs, Florida in Seminole County. The city of Winter Springs ranked in the Top 100 US "Best Places to Live" by Money Magazine in 2007 and 2011. The Orlando Sentinel named Winter Springs-Oviedo the best place to live in Central Florida in 2008. Tuscawilla was originated in 1969 and the Tuscawilla Homeowners Association was incorporated in 1977. Tuscawilla features both older and newer homes with the final homes beginning construction in 2009. There are over 20 different communities within the Tuscawilla PUD, comprised of over 11000 residents. 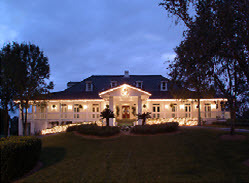 Tuscawilla is one of the oldest and largest communities in Seminole county. The quality of life in Tuscawilla is the envy of those who do not live there. Within Tuscawilla you will find two parks, a nature trail, a bike/ walking and horse trail, a fire station, restaurant, convenience stores and a full service country club. The Tuscawilla Country Club provides a home-away-from-home atmosphere and offers amenities, lessons, clinics and programs for people of all ages and skill levels. From the newly renovated Joe Lee designed 18 hole Golf Course, to the eight award winning clay tennis courts, the Tuscawilla Country club provides ample services and have every facility your family could ever want or need in a country club! The club also features a Junior Olympic swimming pool, dining facilities, pro shops, work out facility, and a large clubhouse. There are social, tennis and full golf memberships available. While some of the residences in Tuscawilla are older, Tuscawilla also features newer homes. The older homes are custom built and well constructed, many updated with the latest décor and most are situated on large lush parcels of land. Some of the older properties are villas surrounding the country club area. Tuscawilla is almost built out, with the final construction under way for luxury townhomes. There is a huge variety of housing available in Tuscawilla from condos, townhomes, villas, small and medium single family homes and large to very grand estate homes. 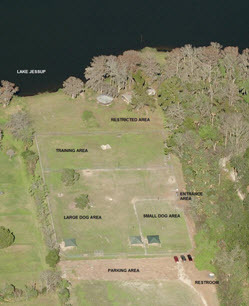 The property sizes range from zero lot line to over 2 acres. There is something for everyone in Tuscawilla! The majority of Tuscawilla is part of the Tuscawilla Homeowners association which has a voluntary membership. Many of the communities within Tuscawilla have Homeowners associations as well, some are mandatory while others are not. Tuscawilla is convenient to the 417 (Greenway) expressway that takes you to Downtown Orlando in 20 minutes, the international airport in 15 minutes and Disney and other attractions in 45 minutes. In addition, Cocoa Beach, Daytona Beach and New Smyrna Beach are less than an hour away. Malls and shopping are plentiful with the Oviedo Crossings mall just adjacent to the community and the Altamonte and Seminole Town Center less than 20 minutes away. In Downtown Winter Springs you will find the quaint Town Center with Restaurants, fountains, shops and more. It all started back in 1865 when George C. Brantley built a store on the south shore of lake Jessup near a settlement called Tuskawilla. Brantley saw great potential in the land and bought it in 1874. A settler named Oliver Prince established a Post office and named the are Tuskawilla. The earliest recorded document convering the title to this Brantley site as well as the land Tuscawilla occupies is a Spanish land grant in 1815. Spain Transferred their Florida colony to the United States in 1821 and Florida gained territorial status in 1822 and statehood in 1845. The Tuskawilla area was mostly wild until the freezes in 1894 and 1895 forced citrus growers to move south. to Central Florida. In 1957, the turnpike was completed and in 1959 the Village of North Orlando (which became Winter Springs) was incorporated with 600 residents. In 1969 the land where Tuscawilla sits today was acquired and in 1971 the Winter Springs PUD was born and annexed into the city. In 1972, the village of North Orland named the City Winter Springs and so to avoid confusion named the PUD Tuscawilla because of the history and the proximity to Tuskawilla-Gabiralella Rd. They changed the k to a c to give the PUD its own identity. Development started in 1969 and unit one was platted and recorded in 1970. The first home sold later that year for $29,000. Winter Springs Ranked #2 in Florida and #31 in US as "Best Place to Live" by Money Magazine in 2007 (and also in Top 100 in 2011). Economic opportunity, good schools, safe streets, things to do, a sense of community and Winter Springs' new Town Center were some of the factors that ranked Winter Springs one of the best places to live in the US. Previously, Winter Springs was rated the best city in the United States in which to purchase a home, based upon ten quality of life criteria, by MSN Advisory Services. The City's park system consists of nine park sites which are developed for public use. There are approximately 350 acres available for use or future development within the city. 125 acres are presently developed, 175 acres are environmentally sensitive and approximately 50 acres undeveloped. A community park with competition quality league play only baseball, softball and soccer fields, and volleyball courts. A passive area on the West Side of the park includes pavilions, picnic grills, playground, horseshoes and a nature trail. A very pleasant passive area with a nature trail that parallels Bear Creek. Contains two small bridges and three picnic tables. A great place to have a picnic lunch during the week. A neighborhood park with tennis, basketball and volleyball courts, picnic facilities, small softball practice fields, and a senior center. The civic center, with a community room, is available for rent. 701 Northern Way & 1224 Trotwood Blvd. A large neighborhood park which is developed with tennis, basketball, and racquetball courts. There are also softball and soccer fields available for sporting events. A neighborhood park with playground, large pavilion with grills, exercise course and passive walk area. Great facility for hosting a family reunion. A neighborhood park with basketball courts, playground and a small picnic shelter. The park is located on Moss Road and Dolphin Road. A mini-park with a volleyball court, horseshoe pit, picnic shelter and bar-b-que pit. This park is located on a small lake at Ranchland Road and Hayes Road. A great place for a family gathering. A neighborhood park with two lighted basketball courts, playground equipment, splash water fountian, soccer, football field and fishing pier. 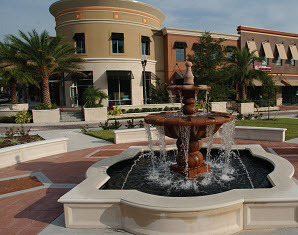 Welcome to Winter Springs Town Center- where retail and office space create a “Main Street” feel while practical, functional design combines with impressive architecture, pedestrian friendliness and green spaces to provide an appealing environment for work or play. A destination spot in its own right, the Winter Springs Town Center is also home to 41 upscale condominiums and surrounded by upscale residential neighborhoods that offer an immediate attractive customer base. The town center offers 110,000 square feet of retail/restaurant space and 45,000 square feet of "Class A" office space. Current tenants include lifestyle retail anchor, restaurant, specialty, entertainment and service companies. Contact Me Today to discover how you can become a resident of this amazing community!